LT Decor is an attractive Interior Decorating Joomla template that has a unique design for kinds of home decor online magazines as well as any other relating kinds online newspapers. This theme has been prepared with high-quality photos, beautiful sliders in eye-catching effects, great content organization, and more, so it is easy to catch visitors attentions and keep them stay on your site longer. 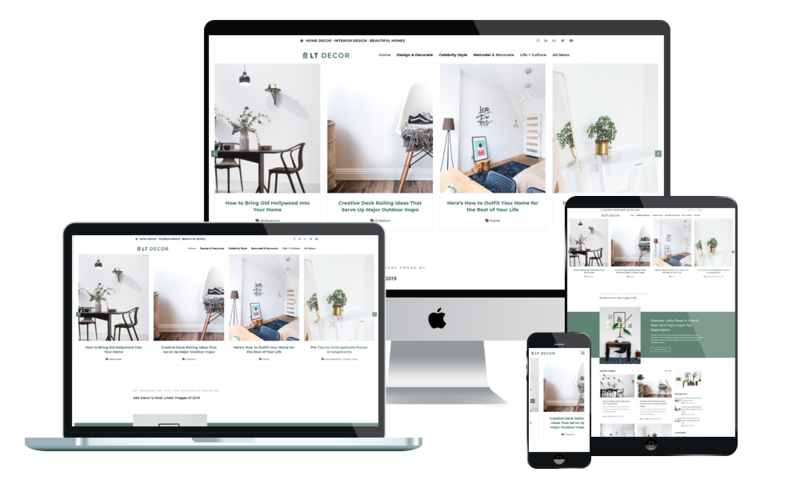 LT Decor comes with Page Builder for layout, Shortcode to edit content quickly, Support Font Awesome, Compress files, and also a fully responsive layout to make your site look perfectly on any kinds of mobile device, modern and stylish. Besides, a strong framework and 4 color styles, unlimited module positions along with drag-drop layout content are also included to help you create your site conveniently without putting much effort. Don’t miss it!